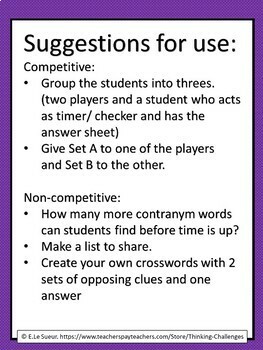 Word Work Puzzles are great motivators for students to practice language skills. 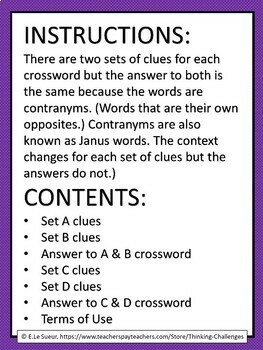 Contragrams are words that have contradictory meanings. 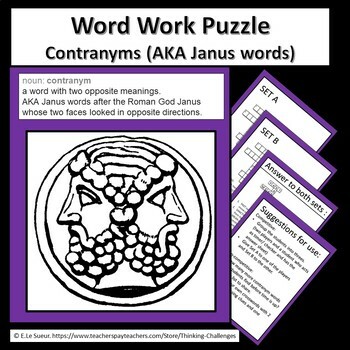 They are also known as Janus words after the Roman God Janus, who is pictured with two faces looking in opposite directions.